I get a lot of pitches about items that benefit charities, and I tend not to cover them, because, personally, I think that if you want to make a donation to a charity, you should just make it (i.e. don't buy something for yourself and rely on the company to make the donation for you). However, gifts are a different story, especially when it comes to Valentine's Day. 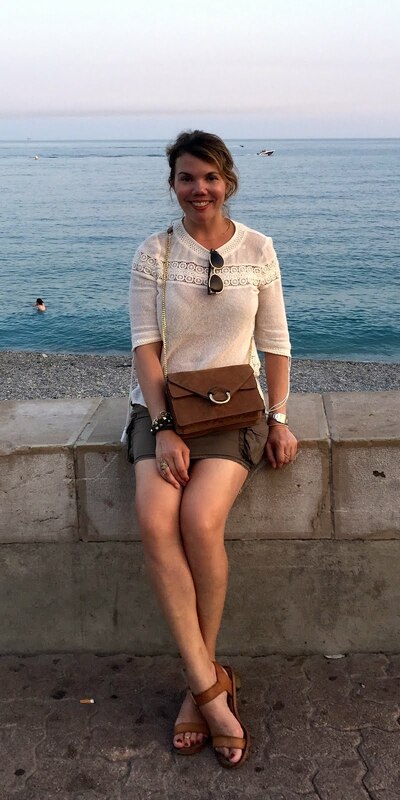 While I think it's totally acceptable (and, more importantly, in keeping with the spirit of the holiday) to make a charitable gift for Christmas, there's something totally unromantic about saying, "Happy Valentine's Day! I just made a donation in your name to the Heifer Foundation." 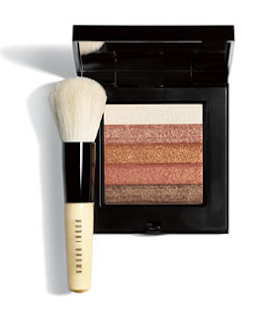 So, on that note, here are five worthy Valentine's Day gifts that give back. 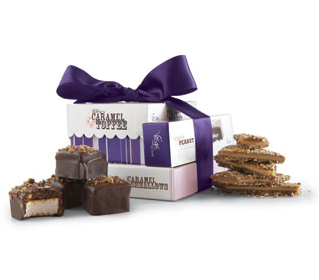 Use code VDAY10 on anything on this page, such as the Comfort Food Tower (pictured), and Vosges Haut Chocolat will donate 10% of sales to V-Day, an organization that fights violence against women and girls. 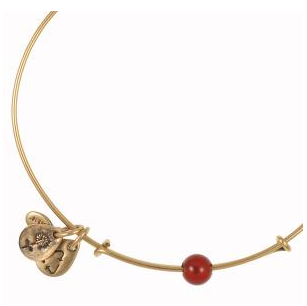 Alex and Ani created a special cornelian bangle to raise money for Haiti. At $18, you can afford one (or several) in each color, and the stone is a symbol of protection and peace. All proceeds will be donated to Doctors Without Borders via Alex and Ani's Project USA foundation. By now, you've probably already heard about Tom's, but if not, for every pair of shoes you buy, Tom's donates a pair to a child in need. 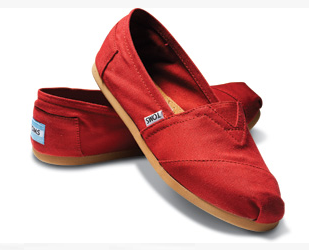 Tom's are durable and comfortable, and I think this red pair would make a fitting V-Day gift (also available for men). 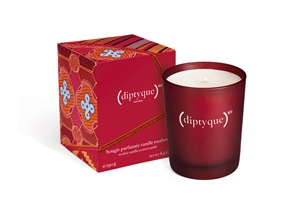 Scent definitely helps to set the mood, and with the vanilla and roobios notes of the Diptyque(Red) candle, you will likely be in the mood for love. (Or maybe for dessert.) More importantly, 10% of the proceeds from each Diptyque(Red) candle will be donated to the Global Fund, which helps provide medicine for Africans with AIDS, which warms the heart even more.